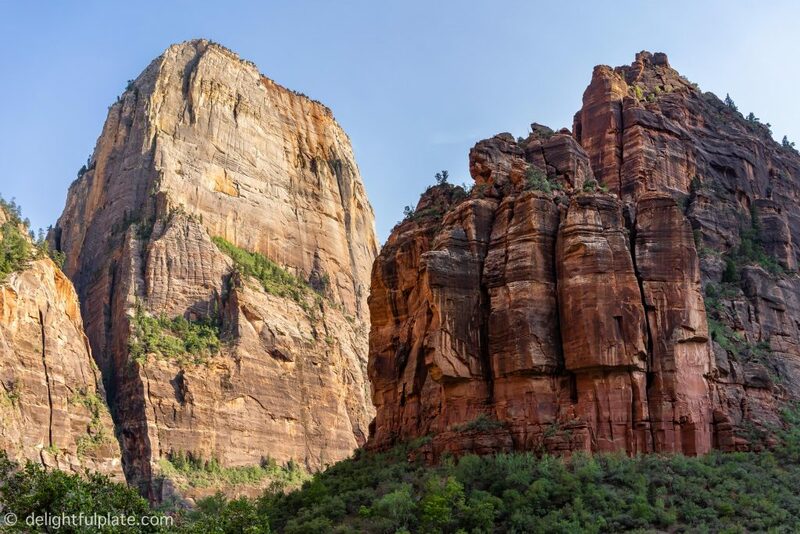 Zion National Park is one of the most spectacular national parks in the US. If I could choose only one word to describe this place, it would be “magical”. It is impossible not to be mesmerized by the overwhelming beauty of Zion. My 4 days surrounded by stunning rock formations and sweeping views of cliffs and canyons at Zion passed by so quickly that I wish I could stay longer. Zion is also among the parks with highest visitation in the US, especially from April to October. Our 10 essential tips below will help you effectively avoid the crowds and the heat at Zion during its busy season. It is the strategy we followed and we had a great time during our visit and did not feel crowded at all even in August. It is no surprise that the busiest times at this spectacular park are summer, especially weekends and holidays. That is when the weather is warm and kids are out of school. 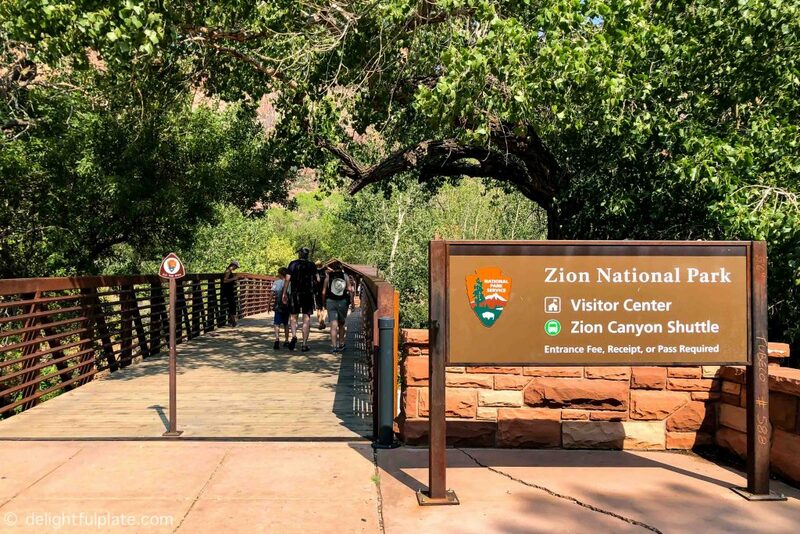 According to National Park Services website, Zion is extremely busy on Memorial Day weekend and Labor Day weekend. 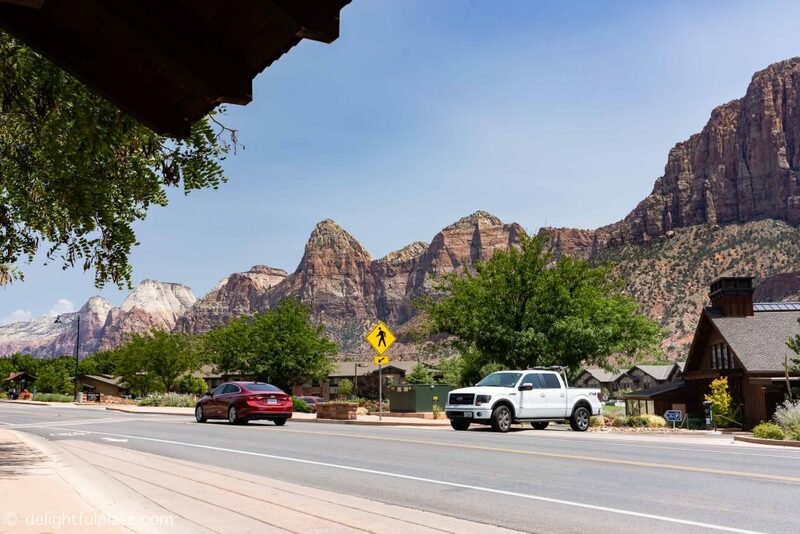 Be prepared to have a more difficult time finding parking spaces, lodging as well as paying higher prices when you visit Zion in summer. 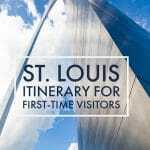 If you can, try to visit during a less busy season. Zion is open every day of the year and I’m sure it is also stunning every day of the year. We actually visited Zion on weekend at the beginning of August. Hotel prices were higher and there were lines in many places at the park as well as in Springdale. However, we successfully avoided the crowd and had a great time with other tips below. So keep on reading. You should also buy visiting pass online in advance for convenience. We recommend getting an America The Beautiful pass ($80) for best value. This pass will give you access to not only Zion but also other national parks mentioned in this USA Travel Bucket List. One of the first questions we asked ourselves when planning our trip was where to stay when visiting Zion. In order to beat the heat and the crowd in summer, we think it is important to stay in Springdale. If you choose Springdale as your base, you don’t have to wake up too early to get inside the park before the crowd. Then, you can head back to your hotel to relax when the temperature is at its highest and return to the park when the temperature is more pleasant. If you stay in one of the hotels in Springdale, it’s likely you just need to take a very short walk to the bus stop to catch a Springdale bus that goes straight to Zion’s gate. No need to worry about driving or parking. There are quite a lot of hotels in Springdale, some of which are quite new so I’m sure you’ll be able to find something suitable. Check and make sure there’s a shuttle stop right outside or close to the hotel. It’s actually better to pick a hotel that is near farther stops on the bus routes than the ones near stops closer to Zion’s gate. The reason is there will be no lines at those farther stops and you can get a seat before the bus picks up more passengers. We stayed at the Springhill Suites, which is next to Springdale shuttle stop #6. There is only one hotel inside Zion National Park, which is the Zion Lodge. There’s no doubt it is convenient to stay here, but you will need to reserve very far in advance if you want to stay here. I did not choose the Zion Lodge because the facilities didn’t seem to meet my requirements from the photos I saw online. Okay, so it’s actually go early (like 6 a.m.), leave, go back (around 4-5 p.m.) and stay late. stay until 7 or 8 p.m. when it’s getting dark. Following this strategy will also ensure that you will not have any parking difficulties. 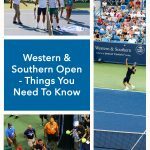 In addition, you will not have to wait in lines for shuttles. Please continue to the next parts to read more about tips for parking and taking shuttles. The main parking lot at Zion Visitor Center has limited parking spaces but there are plenty of empty spaces if you enter the park early in the morning, before 7 a.m. From 8 a.m., if you drive into the park, finding a place to park may be a struggle especially in summer. Later in the afternoon, people start to leave and parking will be plentiful again. This is why we suggest entering the park early, leaving around late morning or noon and returning late afternoon in section #3 above. 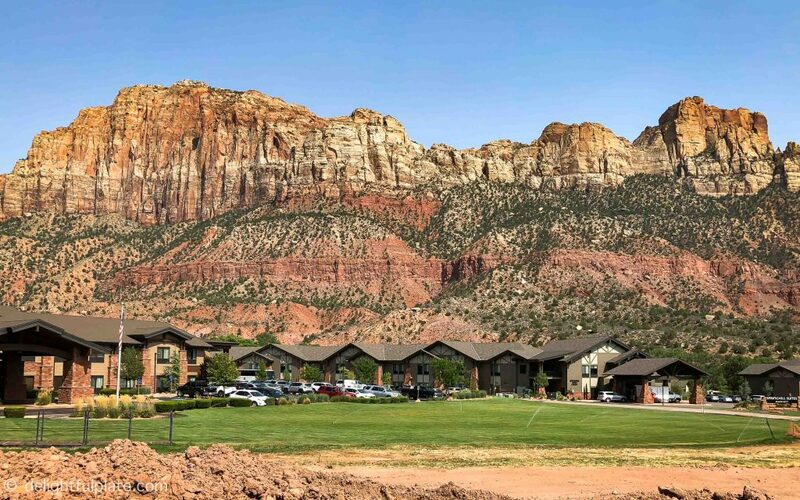 Of course, you can park in Springdale and take the shuttle to Zion’s gate. However, the in-town shuttles start running from after 7 a.m. which is quite late to enjoy the magical morning atmosphere inside Zion. Dawn is one of the most special moments at Zion Canyon in my opinion. Darkness slowly fades away and sunlight starts to be scattered in the atmosphere. It feels amazing just simply breathing in cool morning fresh air and hopping on the first Zion shuttle bus to explore the canyons with not many people around. Note if you want to take the Canyon Overlook trail: it’s best to do this trail either very early or late in the day. The reason is it is not accessible by foot from any shuttle stops. You will have to take the Zion Mountain Carmel Highway, drive through the tunnel and park at a very small parking lot right at the end of the tunnel. 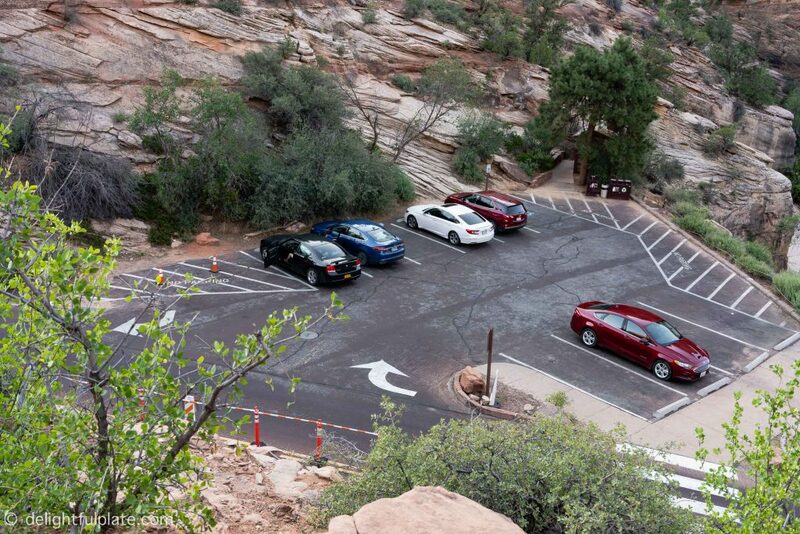 The small parking lot near the Canyon Overlook trail. This photo was taken at 7 a.m.
One of the most important tips to avoid the crowd at Zion is to go against the crowd’s directions. Here’s what we did. We took the first Zion bus all the way to the highest stop early in the morning and work our way down from there. There were always very few people on the bus with us when we went up and down. Early morning shuttles have very few passengers. 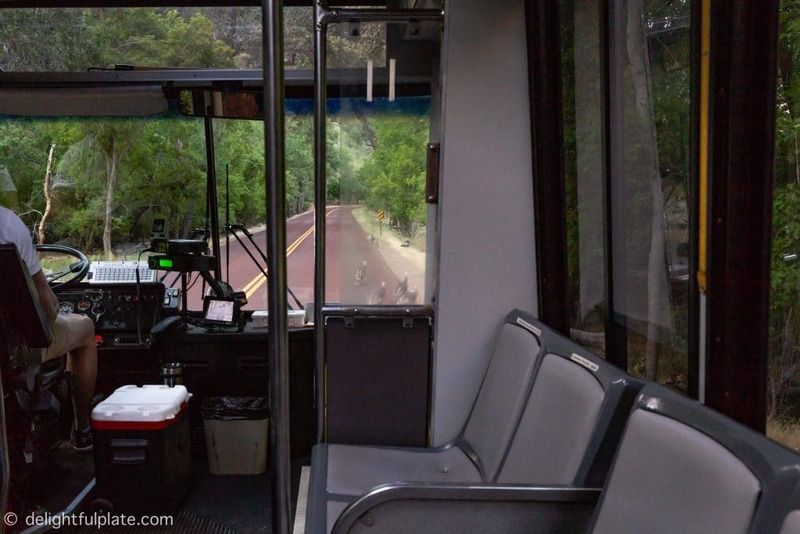 Important tip when taking Zion shuttles: sit on the left when going up and on the right when going down for the best view. We usually aimed to reach stop #5, where the Zion Lodge is, around 9 a.m. to have breakfast there. After breakfast, we could explore the trails near Zion Lodge or continued to go down and finally reached the Visitor Center in late morning. On our way down, we always saw buses going up packed with people and many had to stand. The line for the shuttle buses going up Zion by the time we reached the Visitor Center was always unbelievably long. 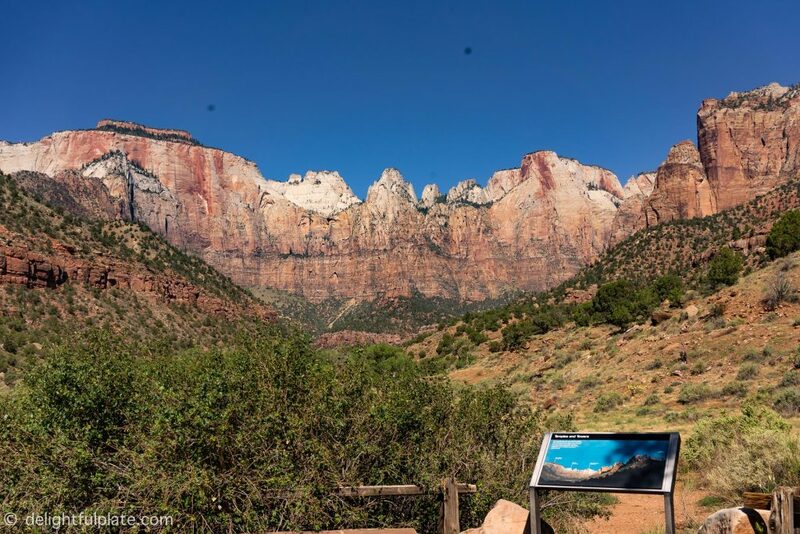 When you return to Zion late afternoon and leave around 7 or 8 p.m. like we suggest, you should not have to wait in line for the shuttle bus or stand on the shuttle whether going up or down. This strategy worked so well for us. Useful link: you can check the schedules of both Zion shuttles and Springdale shuttles here. At Zion National Park, the weather is very pleasant in the morning until 9-10 a.m. and late in the afternoon from around 4 or 5 p.m. 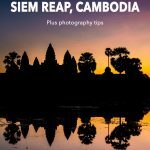 This is the best time with the best light and least crowd to take photos and do hiking, particularly longer and more difficult ones. When it is hotter, take shorter and shaded trails. The higher you go, the cooler it is, so go high such as shuttle stops #7, #8 and #9 when it is still hot. For example, when coming back to the park at 4PM, we went to stop #7 to take the Weeping Rock trail, and then went down from there. Don’t take exposed trails when it is hot. There are trails with shades you can take at Zion to avoid the heat when the temperature is high. Riverside Walk trail: this is a very easy and family-friendly paved trail with a lot of shades. This trail starts from the highest stop, #9 Temple of Sinawava so the temperature is pleasant throughout the day. It can even be cold at this top in early morning and evening in summer. 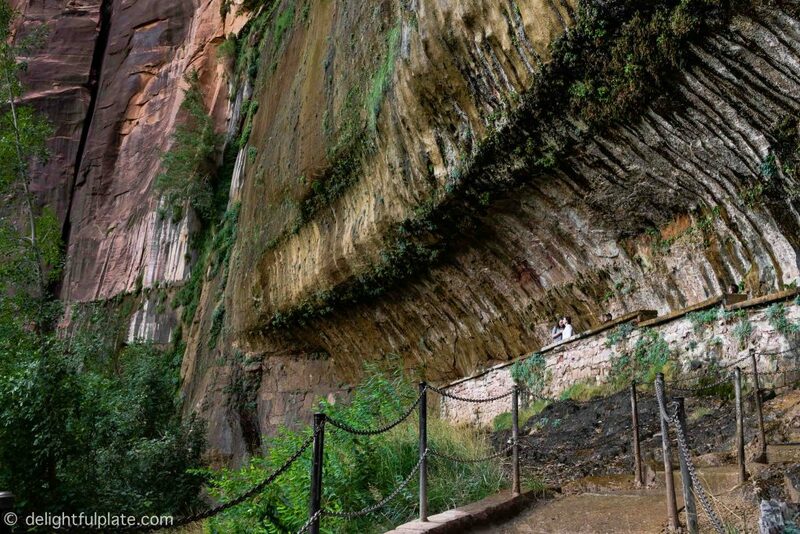 Weeping Rock trail: though short, this is one of my favorite trails at Zion. It is a little steep but still pretty easy. The trail is paved and ends at a rock alcove with dripping springs which creates a secluded and peaceful atmosphere. With all the tips above, there are still time when the heat is unbearable. Our strategy is to avoid hiking during that time to take a rest or have lunch/dinner. Generally, for the best experience at Zion, you should plan and prepare for your hiking activities before entering the park. Download Zion shuttle map to your phone and read about the length and difficulty level of the trails. This is the map I liked and used at Zion. You can also stop at the Zion Human History Museum and watch the documentary about Zion in an air-conditioned building. The museum is at stop #2. We had late breakfast at 9 or 10 a.m. and early dinner at 4-5 p.m. to reserve the best time for exploring Zion (before breakfast and after dinner). Eating at odd times also means no wait at local restaurants. We also had lunch and took a rest in the middle of the day when the heat was at its peak. Moki restaurant: we loved this place. Fresh, quality ingredients and flavorful food. We ate there several times and everything we tried was delicious. Park House Café: this small café makes really good smoothie. The egg dishes we tried were also tasty. We often had lunch here and their smoothie did a great job relieving our thirst and cooling us down. King’s Landing Bistro: this restaurant also has tasty food. The outdoor tables have magnificent views of Zion rocks. So what to wear when visiting Zion in summer? We both wore large straw sun hats which helped a lot with the harsh sun and heat. They protected our heads while allowing air circulation. We both thought it was best to dress in layer with lightweight and breathable clothing and cover the arms with long-sleeved outfit to avoid feeling burnt by the heat. Don’t forget to put on sunscreen. We also brought a mini portable fan to use when it got too hot. We hope with these 10 tips to beat the crowd and the heat at Zion, you will enjoy your visit as much as we did. I’d love to hear if you have other tips you want to share or your experience at Zion.